Cambridge, Massachusetts is a dog-friendly community. 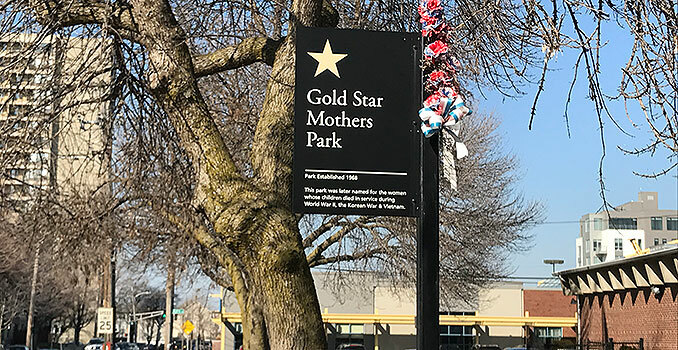 The city maintains open spaces, resources, and services designed to accommodate dog owners and support their dogs’ well-being. Officials continually work with residents to explore strategies that enable dogs to be off leash in city parks and open spaces. Below you’ll find answers to frequently asked questions regarding dog licensing requirements, as well as links to help you access application forms and other resources. Do I need to obtain a license to own a dog in Cambridge? What is a dog license and why is a dog required to wear one? A dog license is a tag issued by the City that works as a form of ID if your dog gets lost and also provides the City with a means to count the number of dogs. Your dog’s license tag is required to be displayed on the dog at all times. A current dog license is required to use off leash areas in Cambridge. What do I need in order to license my dog, and what is the fee? Owners must submit the following with their application: A rabies vaccination certificate with an expiration date OR a copy of medical records with the rabies expiration date; Proof of spay or neuter (can be the actual surgery certificate, or if noted on your dog’s Rabies/Medical History). Currently, a dog license costs $30.00, or $10.00 for spayed or neutered dogs. The license period runs from April 1 to March 31 of the following year. You must be at least 18 years of age to obtain a dog license. How and where can I obtain a dog license? Dog owners may conveniently register for a dog license by completing an online application, or via mail or in person with a printable paper application. Apply online through the City of Cambridge’s Online Dog Licensing System. This system enables any registered city resident to complete and submit a dog license application for city review and approval. You will then always be aware of the status of your dog license, and once approved by the City, you will always be able to print your dog license, and you will be notified regarding renewal, rabies clinics, and other info. With a printable paper application, you may pay with cash, check or money order payable to: City of Cambridge. Credit cards are not accepted. If by licensing by mail, include a self-addressed stamped envelope along with your check or money order. The City’s Animal Commission maintains answers to Frequently Asked Questions on its FAQs page. Call the Animal Commission immediately at 617-349-4376. If you reach voice mail, please still leave your name, phone number, address and description of your dog. A staff member return your call as soon as possible. During off-hours and holidays, please call the Cambridge Police at 617-349-3300. The police maintain a list of dogs that have been picked up and placed safely in the Animal Commission’s kennel. You will be able to claim your dog on the next business morning. The office is closed on weekends and holidays. The City offers three categories of leash space for dogs with current Cambridge licenses. Click here to view a map of all off-leash dog areas for dogs. 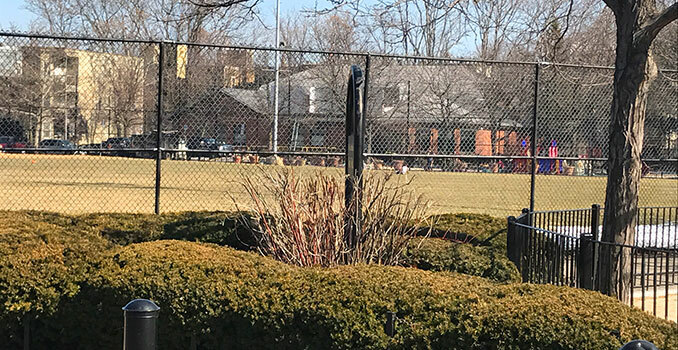 Details: Has a fenced-in area with mutt mitt dispenser and trash barrels; water play features for pets, a water fountain for people and pets, a shaded sitting area for residents, planting beds, natural features, play structures, and more. These are areas where dogs are allowed off leash. They are not fully fenced in or separated from other uses and activities. In these shared use areas, dogs are allowed to be off leash during designated hours and are not fenced in. Outside of the designated hours, dogs must be on a leash. 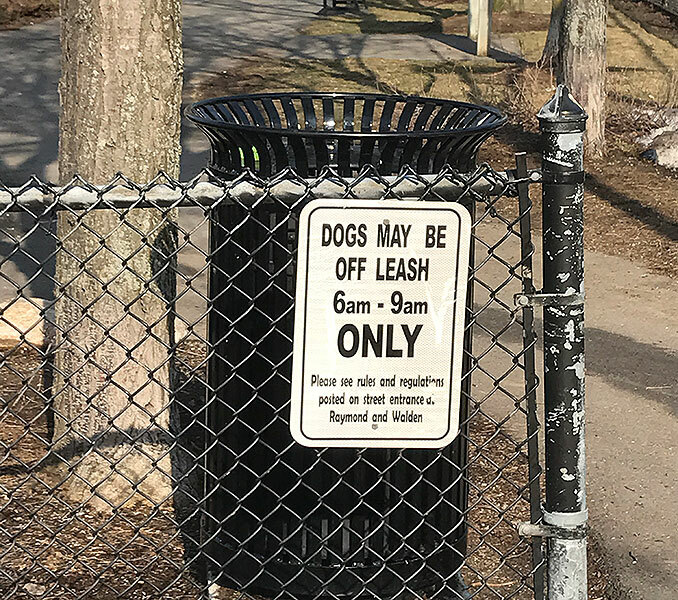 Off-leash Hours: 6:00 a.m. – 9:00 a.m.
Off-leash Hours: 8:00 a.m. to 10:00 a.m.
How many dogs are allowed per person in a dog park in Cambridge? Dog owners and keepers may have up to three off leash dogs per person in designated areas and during designated times. What are the rules for use of off-leash areas? Off-leash hours are suspended when there are permitted or school-based activities in the park. There are no off-leash hours when parks or fields are saturated with rain. Dogs must be under the control of owner/keeper and must have a current Cambridge license. Dogs must be leashed when Parks Division crews are working in the park. The owner/keeper of any dog(s) must appropriately remove and properly dispose of any and all waste left by the dogs. Dogs are not allowed in playground areas, sandboxes, and tennis or basketball courts. For a complete list of rules, please see the signs at all parks and off-leash areas. 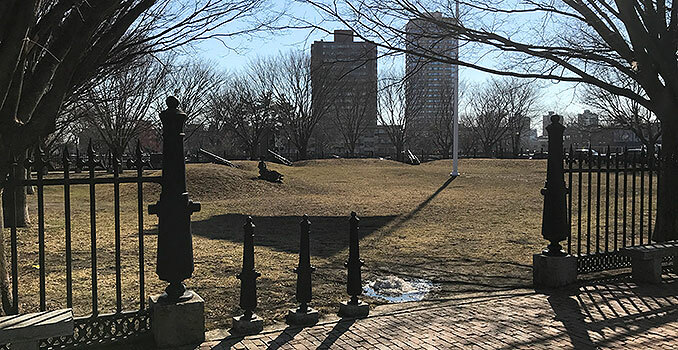 Who is responsible for pet waste disposal in Cambridge City Parks? All dog owners are required to pick up their pet’s waste and dispose of it properly in available trash barrels. 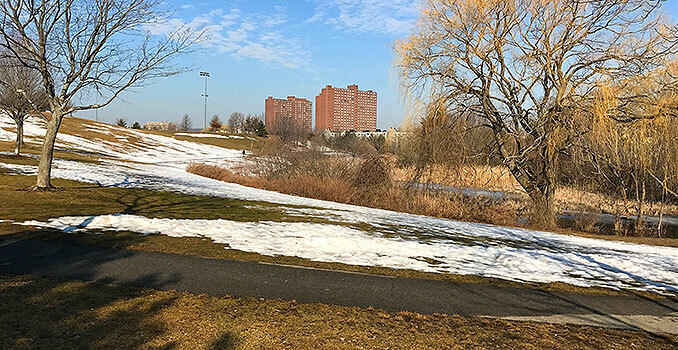 Among other key problems, pet waste significantly contributes to pollutants (bacteria and organic matter) in the Charles River and Little River/Alewife Brook. All dog owners are encouraged to familiarize themselves with the publication compiled by the Department of Public Works titled, After Your Pet Goes, Where Does It Go? The guide is a helpful resource for keeping local waterways safe by properly disposing of pet waste. How can I report an issue regarding dogs in Cambridge parks? Contact the City of Cambridge Animal Commission at 617-349-4376, or visit the Animal Commission website. 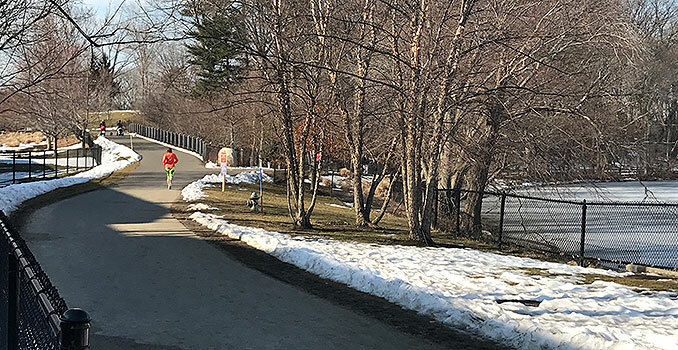 How can I learn more about Cambridge off leash opportunities? 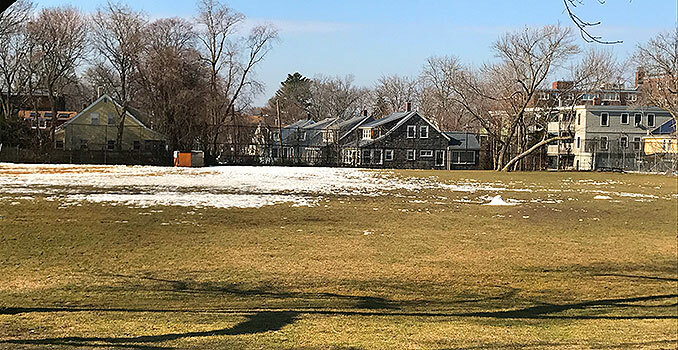 For additional information regarding Cambridge off leash opportunities, Contact the Community Development Department at 617-349-4600, or visit their website. All dogs must be leashed prior to entering and upon leaving this area. At all times while dogs are using this area, their owner(s)/keeper(s) shall be in the designated area with his/her dog. The owner/keeper of the dog(s) must have a leash in his/her possession at all times while his/her dog(s) is using this area. All dogs using this area must have a current Cambridge license and the license must be displayed on the dog at all times. Dogs wearing prong or choke collars are not permitted in this area. All dogs using this area must be accompanied by an owner/keeper. The owner/keeper must maintain visual contact with his/her dog(s) and must maintain voice control over his/her dog(s) within this area at all times. Dogs determined to have a vicious disposition pursuant to M.G.L. ch. 140, §157 or Cambridge Municipal Code ch. 6.08, are not permitted in this area. Female dogs in heat are not permitted in this area. Each owner/keeper may have no more than three (3) dogs at a time in this area. The owner/keeper of any dog(s) excessively barking in this area is subject to the penalties promulgated by M.G.L. ch. 140, §157. The owner/keeper of any dog(s) must appropriately remove and properly dispose of any and all feces left by the dog(s) pursuant to Cambridge Municipal Code §6.04.060. The owner/keeper is responsible for providing a means of feces removal. All dogs and owners/keepers use this area at their own risk. Do not linger, or allow your child or dog to linger, at the gates. In order to prevent overcrowding, please limit off-leash play to 30 minutes during peak hours or when other people with dogs are waiting. Maintain visual contact with your dog(s) at all times. Do not allow digging. Please refill any holes you find. Do not allow your dog to run along the fence, barking at passers-by. Dispose of any cans, bottles, food wrapers, feces, or other litter you find. If we all do this, the dog park will remain clean. Supervise young children in the dog park. Work collaboratively with other dog owners/keepers regarding situations where dogs don’t seem to get along, in order for all people with dogs to have access to the dog park. Who can walk my dog in Cambridge? 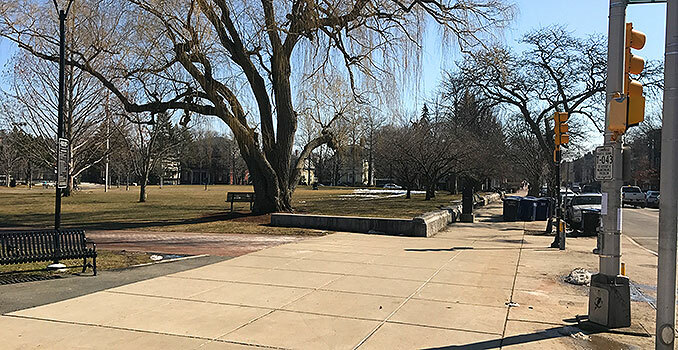 Angie’s List offers a list of Top-Rated Newton Dog Walkers in the Cambridge Area (as well as ones to avoid) in its Pet Care and Health section, under the theme Dog Walking. 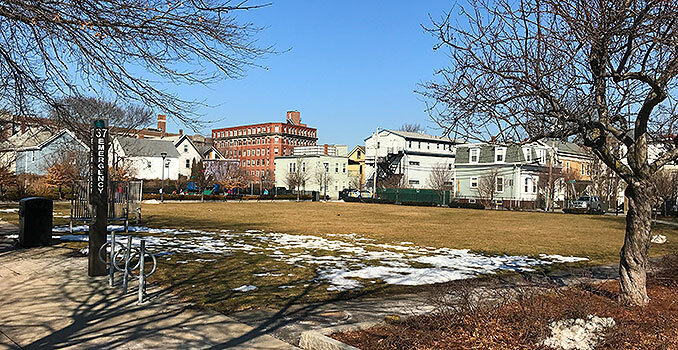 Thumbtack offers a list of the Best Dog Walking Services in Cambridge, once users answer a few questions in order to receive up to five quotes from local dog walking professionals.